The era of instant access means that public wi-fi is part of the fabric of everyday life, but does convenience outweigh consequence? Each time we connect to these public networks, we become vulnerable to hackers and cyber criminals, and we will explain why in this article. If you can, think back to the days of dial-up – Ask Jeeves was the go-to search engine, Wikipedia was considered a trusted source of information, and you were kicked offline every time someone picked up the “house phone”. You were tethered to any piece of furniture that was close enough to a telephone point, and the thought of being mobile around the house was nothing more than a dream, let alone being able to access the internet from literally anywhere in the world. In short, Wi-Fi didn’t exist. Today, we can use free Wi-Fi networks almost anywhere, from coffee shops and eateries, to hotels, leisure facilities and airports. Even cars, trains and buses offer WiFi – being offline simply isn’t an option. Put simply, Wi-Fi is a means of transmitting broadband to an array of wireless devices using radio signals and transmitters. Wi-Fi made an early appearance in 1971, when the Hawaiian Islands were connected with a UHF wireless packet network. The, then primitive, version of the technology went on to be used across the world for various means, such as cashier systems and scientific research. In 1997, a committee called 802.11 designed a set of standards that defined communication for local wireless area networks. These standards were called IEEE802.11 and thus the basic specification for public wireless networks was created. A trade association known as the Wi-Fi Alliance formed in 1999 to hold the trademark under which wireless products are sold. The same year, Wi-Fi first became available for home users, with Apple pioneering the Wi-Fi option on its iBooks. Naturally, other brands followed suit. Given the level of freedom that Wi-Fi provided the world with, people flocked to this new technology and, by the year 2000, more people were accessing the internet using wireless networks than analogue methods. With schools, coffee shops, hotels and airports starting to install wireless access, it meant there were more than one million networks around the world by 2010. What started as a niche technology quickly became the next internet ‘mania’. While Wi-Fi has undoubtedly attributed to the way that we are able to communicate, it offers far more than access to email or social media while on-the-go. Wireless technology has been the foundation for many other progressive consumer technologies and devices to become interconnected. In recent years, this web of technology has been referred to as the Internet of Things, or IoT. Wi-Fi.org has claimed that Internet of Things is ‘one of the most exciting waves of innovation the world has witnessed’. As Wi-Fi technology paved the way for us to conduct most of our day-to-day lives online, those with ill intent also entered the cyber realm, with a view to exploiting any vulnerabilities in the systems. Unfortunately, the freedom that Wi-Fi offers can come at a price and we need to remember that consequence should outweigh convenience. The issue with public Wi-Fi networks is that many of them are inherently less secure than personal home networks, or ones that we connect to in our schools or workplaces. This is because having the personnel to monitor and deal with the security of these network provides an extra cost to the business, leaving the users to take their own precautions – if at all. For example, there is a well-known flaw in the WPA2 encryption standard that secures all Wi-Fi networks, which meant anyone could access the information shared on a public Wi-Fi network, including information we considered to be encrypted. It’s a big concern and ZDNET have previously reported that 70% of people are warier of public Wi-Fi than public toilets. 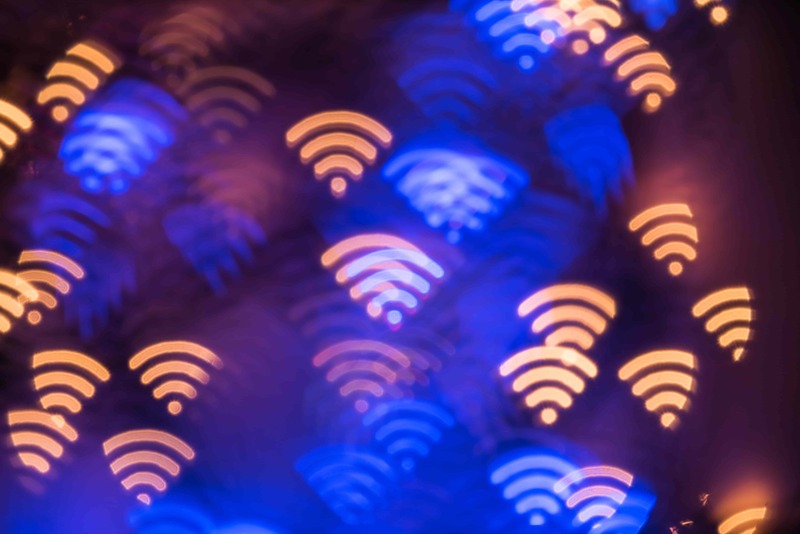 Despite this, in an experiment carried out in 2016 at an American political convention, 70% of attendees opted to connect to the free, public Wi-Fi hotspot, rather than a private connection behind a paywall. We need to think about the wider picture here – if someone were to hack into a personal account of yours, what would they truly have access too? In reality, a fleeting moment of convenience would be shattered by your passwords, financial or personal information and images being stolen. Previously we have seen a threat from a journalist who had discovered her Deliveroo account had been hacked and she could see an order being made from the account to Nandos. The journalist was annoyed but not too worried about an order for peri-peri chicken, until she realised that the perpetrator would have access to information such as her home address – then the real element of danger kicked in. Public Wi-Fi networks are as easy for hackers to leverage with ill intent as they are for unsuspecting users to connect too. They require little in any authentication to establish a connection, which means they are ultimately able to gain access to an array of unsecured devices using the same Wi-Fi hotspot. Hackers invariably use a strategy known as ‘the middle man’ and position themselves between users’ device and the network. The traffic is intercepted between the device and the destination (site) they wanted to reach, meaning that the users’ device believes the hacker’s machine is the access point. This gives them unfettered access to every action you are taking while online. From credit or debit card information, personal or sensitive emails, log-in information for social media, personal accounts that may have associated payment details – once they have entry, this information can be revisited as often as they want. While connected to this phoney network, all online activity is monitored by the cyber-criminal. Not only this, but there is also a high chance that the sensitive data will be shared. There have been numerous instances whereby swathes of leaked personal data have been shared; from passwords that have been de-hashed and converted back to plain text to credit card information and email addresses. These public databases are shared for other criminals to exploit and use to their advantage. This is where we plug a VPN. Using a VPN is going to provide you with a layer of protection by encrypting your connection at each end, meaning criminals will not be able to access your connection whilst using a public wi-Fi network. Only visit websites that are secure and exhibit the https padlock. Avoid clicking on suspicious pop-ups or links in emails that ask you to change log-in or password information. If you want to see how safe you are when it comes to your cyber activity, why not take our online safety quiz? After reading this, you might feel like us, and that’s it’s probably wise to use a VPN. Why not sign up to your free trial today?